In the following post, we continue the topic of cryptocurrencies and shed light on the CEX.IO platform. The first cloud mining provider was established in 2013 and now it is one of the most prominent cryptocurrency exchanges. Although it is not as popular as Coinbase, but we’ve found CEX.IO much more user friendly in comparison to other similar solutions. 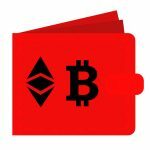 Here, you can easily buy Ethereum or Bitcoin with your credit card or sell them and withdraw money. Run out of Ethereum gas? You are welcome! Need more bitcoins? Check the following CEX.IO platform review to find out how to purchase them on the platform. At the same time it offers all the necessary tools for traders. Below, we describe all core elements and tools that you can find in CEX.IO customer account. SSL and PCI DSS compliance. More security features are described on the platforms website, but since we are going to cove absolutely different aspects of CEX.IO, the aforementioned facts are enough to provide positive impression on readers and convince them that CEX.IO is a safe place to sell and buy Ethereum or other cryptocurrencies. Also note that none of the platform’s clients experienced account funds theft. 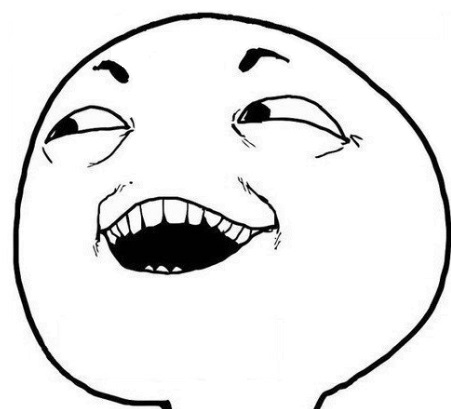 So, before diving deep under the hood of a user account, you should pass the registration procedure. And the first surprise is prepared here. This was the easy way to register an account on CEX.IO, but what is the easiest one? The easiest one requires clicking on a social button. 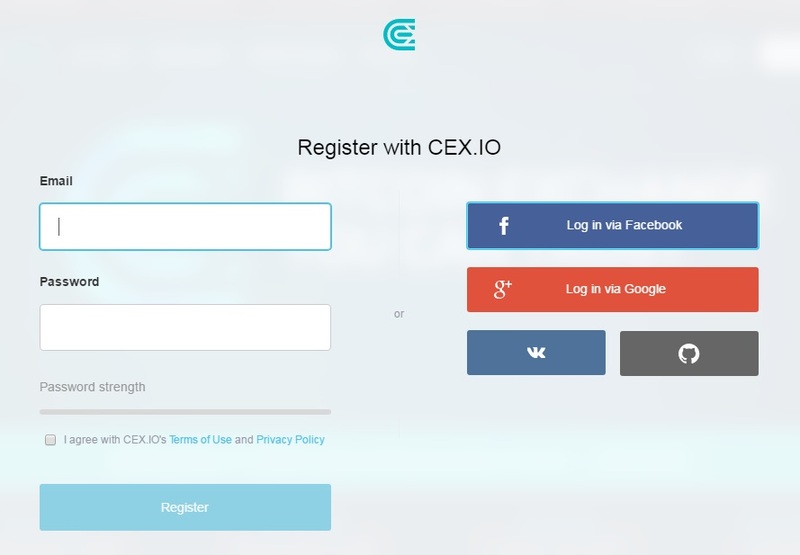 Yes, you can use your Facebook account to become a customer of CEX.IO. Simply hit the appropriate social button and voila! In addition to Facebook, you can use GitHub, VK, or Google+. Note that only CEX.IO provides this opportunity. It’s a strong competitive advantage, but not the strongest in the platform’s arsenal of user-friendly features. 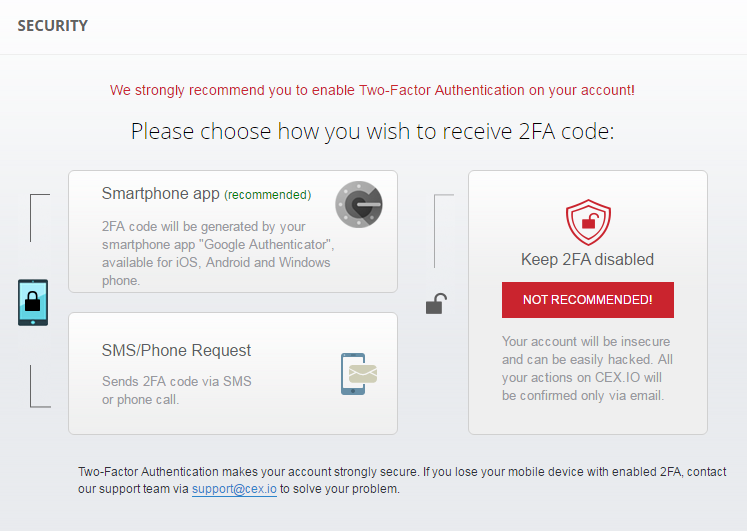 Right after the registration, CEX.IO requires to enable two-factor authentication. The feature is optional, but we strongly recommend you to turn it on, because it is one of the most important security enhancement that will save your account from theft. 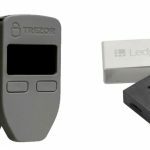 CEX.IO provides two slightly different ways of two-factor authentication. The recommended one requires to use a smartphone app that generates codes. The second method is based on 2FA codes sent via SMS or provided to you buy a phone call. Getting codes from the application is much faster and more secure, so we also recommend you to choose this method. Verification is another step towards buying Ethereum and since it happens in a customer account, we should describe it in details. 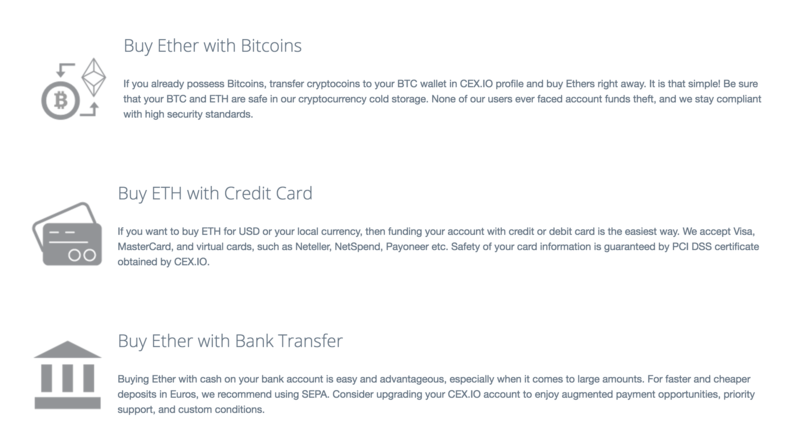 Note that CEX.IO requires two types of account verification related to your identity and your credit cards. The easiest and the fastest way to buy Ethereum is based on your credit card verification. You should provide information about your VISA, MasterCard, or any virtual card to the platform. First of all, it is necessary to submit cardholder’s name, card number, and expiry date. The next step requires proving your ownership. You have to make a selfie with your payment card. Furthermore, there should be two photos: one with the front side of the card and another with its back side (to let people at CEX.IO use your credit card to shop on the Internet). If you hate selfies, we have two bad news: you should choose another trading platform or take a grip on yourself. 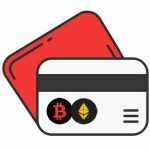 And if you are afraid that the credit card data may be stolen by someone at CEX.IO (we understand your anxiety: cardholder’s name, card number, expiry date, and CVV/CVC are available on photos) there are no reasons to worry, since we don’t know any similar occasion from the history of the platform. But let’s return to our mutton: we’ve been talking about credit card verification on CEX.IO. The next step requires providing a CVV/CVC number to submit a small charge amount (less than $1.00) to your payment card issuer. Thus, you complete the standard card verification. Also note that due to security reasons, CVV/CVC numbers are not stored on CEX.IO. Therefore, it is necessary to enter them each time you want to make a payment. 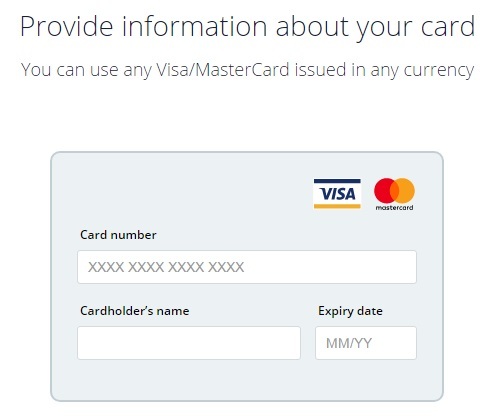 In order to prove that you are a real card holder, enter the charged amount from the previous step. This information is available in the online payment statement. Alternatively, you can contact your bank to get the necessary data. To extend limits and enable additional payment options, verify your identity. We describe this process below. Identity verification allows to withdraw fiat funds and increase payment limits. As a customer account owner, you should provide personal data and supporting documents. Thus, the system prevents fraud causes. First, specify your issuing country, identity document serial number and issue date, gender, first and last names. This information can be taken from passport, ID card, or driving license. Next, specify your current (residential) address and permanent address (billing address for official correspondence). To prove your identity, upload scans or photos of documents that prove the aforementioned information. And don’t forget to make a selfie or you shall not pass again. In case of a low-quality selfie, you may be asked to make another one, so don’t abuse with your favorite Instagram filters. Photos/scans of documents proving the address stated in Verification form are also mandatory. There is a huge list of requirements related to what to upload and how to do this in the correct way, so read this tutorial. After the verification is complete, you can freely buy Ethereum on CEX.IO, but how to find the necessary tools in a so sophisticates structure as a customer account? Don’t let the complexity confuse you: CEX.IO offers one of the most user-friendly and intuitive customer accounts in the whole ecosystem of cryptocurrency exchange platforms! Buy/Sell is the first section we’d like to describe. If you are already familiar with other similar platforms, you should know that it is the place where you can buy Ethereum, Bitcoin, or other cryptocurrency. As you might have guessed, the section is split between two subsections: Buy and Sell. The first one contains all the necessary tools designed to provide seamless buying experience, while the second one allows to sell cryptocurrencies without headaches. The “Buy” subsection allows to switch between Ethereum and Bitcoin (these cryptocurrencies are currently supported by CEX.IO). Besides, the platform allows to select a fiat currency that will be used for purchasing crypto. Not that the availability of fiat currencies depends on crypto. If you want to buy/sell Bitcoin, the platform allows you to select USD, EUR, GBP, or RUB. In case of Ethereum, CEX.IO supports only USD and EUR, but you can also buy/sell ETH for BTC. Next, you can purchase crypto for $100, $200, $500, or $1000. Simply hit the appropriate button to spend the selected amount of money. The amount of Ether always changes depending on the current exchange rate. Therefore, you will always get a different quantity of ETH for $100. And if you think that it is the best time to sell your Ethereum stock to get superprofit, switch to the “Sell” tab. It looks almost the same as the aforementioned one, except some nuances. First of all, there are blocks that allow to sell fixed amounts of ETH: 10, 20, 50, or 100. The price of each amount is calculated automatically depending on the exchange rate. As for the custom quantity section, you can sell any amount of ETH here. For example, you have 10.54 Ethers. It is not possible to sell the whole amount via the aforementioned blocks, but you can simply get rid of it using the custom amount field. It is also necessary to mention that you can always check your current balance. The appropriate information is displayed on both “Buy” and “Sell” tabs on the top of the page. Note that Deposit and Withdraw buttons are shown there as well. Such layout essentially improves user experience, since all core elements are always available and visible, so a customer can easily buy/sell cryptocurrency, view balance, withdraw fiat currency, or add more money to the account. Now, when you know how to buy/sell Ethereum or Bitcoin on CEX.IO, it’s time to tell a few more words on how to upload money into your account to become able to make the first purchase. 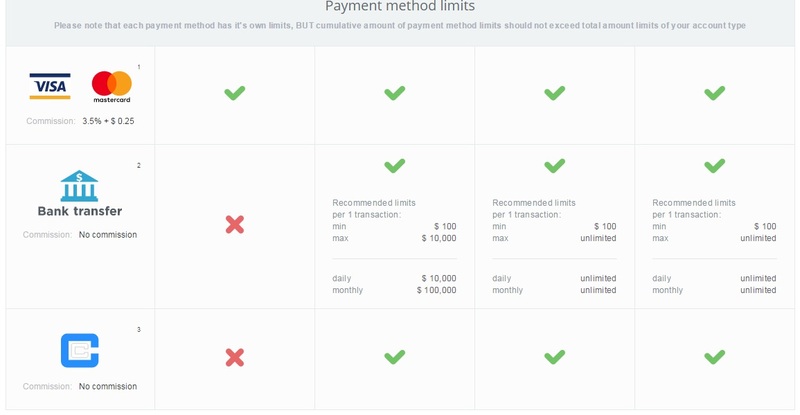 CEX.IO offers several deposit payment methods (while some competitors offer only one). First of all, it is payment card. 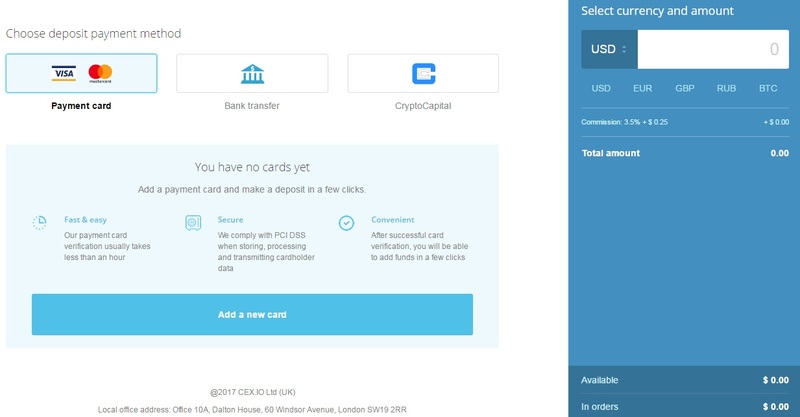 You have to verify each card in order to use it in the system, but you can use credit cards to purchase ETH and BTC without identity verification. 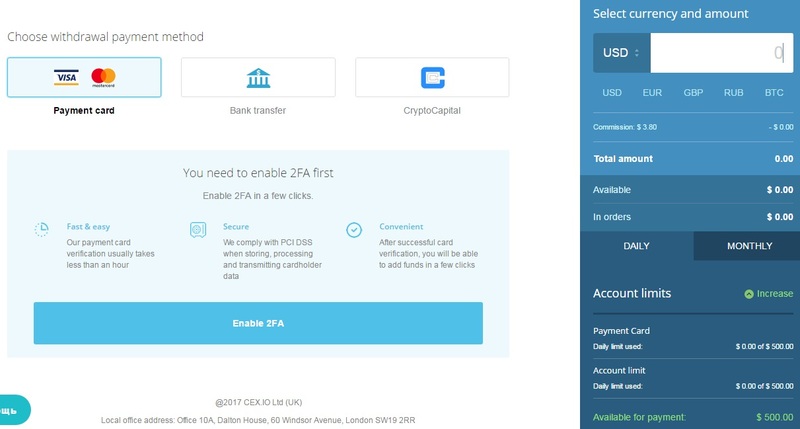 Bank transfer and Cryptocapital are two other payment methods that can be utilized to put money on your CEX.IO deposit. The deposit limit (if your identity is not verified) is $300. As for the commission, it is 3.5% + $0.25 (no commission for Bank transfer or CryptoCapital). The user interface in this section is so convenient that you don’t have to calculate anything manually: the total amount necessary to place a deposit is displayed automatically. If you are a hard-headed businessman and trader, this section is designed especially for you. Here, you can vie the behaviour of various currency pairs. Of course, their selection is not as huge as on Kraken, but you can trade both Bitcoin and Ethereum paired with such fiat currencies as USD, EUR, GBP, and RUB. There are also such pairs as ETH/BTC and GHS/BTC. The selection of charts impresses: you can view data for the smallest time intervals 1, 3, 5, 15, or 30 minutes. Alternatively, it is possible to see what happened to the selected currency pair during the last 1, 2, 4, 6, or 12 hours, 1 or 3 days, or 1 week. As for additional information, it is displayed above the chart. You can view such data as last price, daily change, today’s open, and 24h volume. Is this information enough to trade Ethereum or Bitcoin successfully? We have no doubts. And now, we should draw your attention to trading tools. While under the Buy/Sell tab you can find the most simple and intuitive solutions, the Trade section is designed for professionals. At the same time it is as intuitive as Buy/Sell. Under the Market Depth diagram, there are three tabs with different tools each: Limit, Market, and Margin trading. 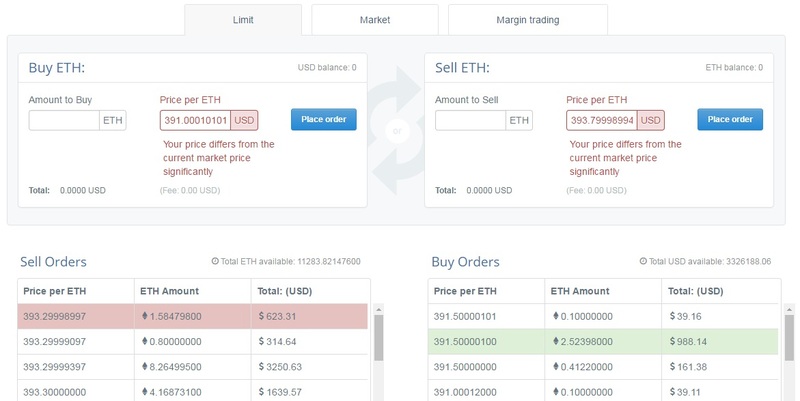 The Limit tab contains a tool for buying and selling Ethereum divided into two blocks: Buy ETH and Sell ETH. 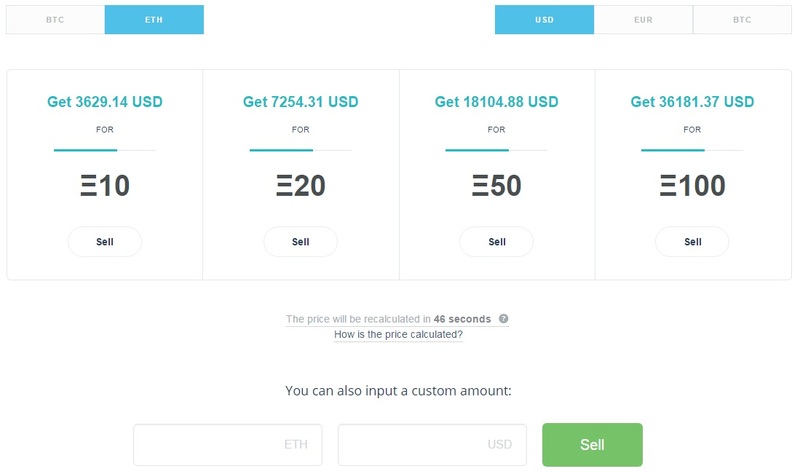 Specify amount to buy and sell and set a price per ETH for each block. Next, click “Place order” and the tool is working for you. Below the tool, there are two grids that display sell and buy orders. In order to provide even more information (to make your buying and selling decisions more precise and successful), CEX.IO offers two more grids: Active Orders and Trade History. Their titles are quite self-explanatory, so we won’t waste your time by paying extra attention to data you can find there. We’d better describe the second serious tool for traders which is available under the Market tab. There are also two blocks aimed at buying and selling cryptocurrency: Instantly buy ETH (or other currency) and Instantly sell ETH (or other currency). The page itself has the similar structure: only the tool offers different opportunities. In the first block, you should specify the quantity of one currency to spend and an estimated amount of another to get. The second block provides the opposite opportunity. When you switch to the appropriate tab for the first time, CEX.IO displays a message about high risks related to the chosen activity. In order to use the tool, you should accept all risks. While on the Balance tab, you can enter a voucher code that will add funds to your balance automatically. Note that fees are eliminated. Besides, there are several grids with various balance information. The first grid shows fiat balance for the aforementioned 4 currencies. Besides, you can easily deposit or withdraw USD, EUR, GBP, and RUB using local grid tools. The next grid is dedicated to cryptocurrencies and their balance on your account. 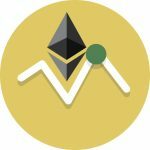 The same opportunities related to ETH and BTC deposit and withdrawal are provided. That’s all about the Balance tab, so now we can proceed to the Transactions tab. 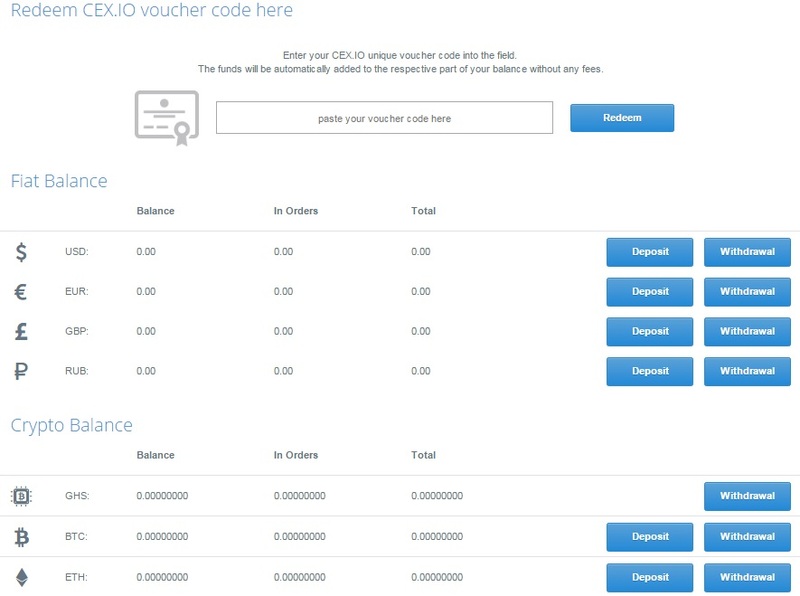 As you might have already guessed, this tab is designed to illustrate all transactions that you make via your CEX.IO account. If you have lots of transactions but need to find a special one, apply filters. They will effectively narrow down the selection. There is a currency filter that allows to display transactions related to the selected currency. Thus, you can easily find all your transactions related to Ethereum or Bitcoin. Transaction type can be used as a filter parameter as well. By default, CEX.IO displays all transaction types, but you can view deposits, withdrawals, trades, margin trades, referrals, and minings separately. A certain date range may be also applied. As you can see, it is possible to effectively narrow down the selection using three filters. And we don’t think that more filters are necessary. Archived Orders is another grid that contains your orders related to currency pairs. The grid contains three filters that allow to filter out the necessary data by selecting a currency pair, specifying a time period, and choosing a status. As for the available information, it is ID, Pair, Type, Amount, Price, Filled, Average execution price, Fee, Balance Change, Status, and Close date. 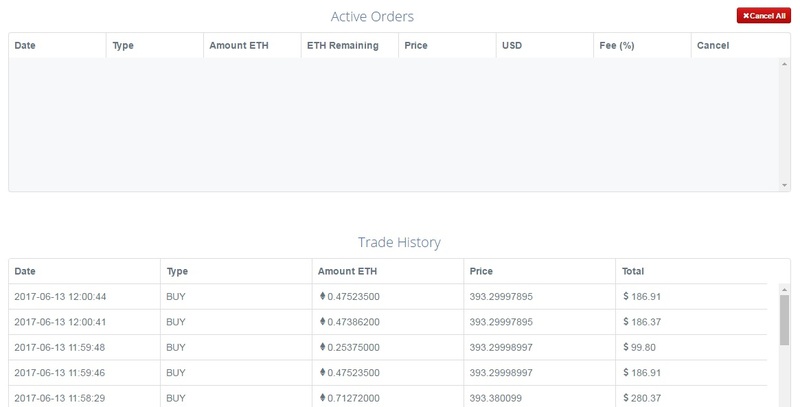 The last tab with data related to your operations on CEX.IO is Margin trading. It displays Position #, Open date, Close date, Type, Leverage, Amount, Margin, Open price, Close price, Stop loss, Fee, and P/L. To narrow down the selection, apply the following filters: All pairs, All position types, and Time range. In Limits and Commissions, you can view some of the available account opportunities. The 4 account types are described here. You start with a Basic account, when verification procedures are complete – get a Verified account, provide additional information to extend limits – and get a Verified Plus account, and if you need a business account with some advanced opportunities – there is a Corporate type. Note that Verified Plus has no limits on withdrawal and deposit while Corporate allows to use CEX.IO for your enterprise needs (custom conditions can be applied). As you can see, the first step is intuitive and user friendly. The same is about other steps. The only problem is the queue of people who want to register a customer account on CEX.IO. Note that the verification will take up to several days (or even weeks) because of the hype around Bitcoin and Ethereum. While you are waiting for you account to be verified, CEX.IO provides the ability to start earning your first money on the platform. There is the Affiliate section for users who are in queue or don’t want to invest into cryptocurrencies. The affiliate program allows to invite users to the platform and earn 30% of the fee they pay for exchange transactions. Provide other people with referral links, create landing pages, and use banners – each activity has a unique page with all the necessary tools. All stats are available in your account as well, so you can always check the effectiveness of your work. We hope our CEX.IO guide was helpful and now you know how to buy/sell cryptocurrencies or trade currency pairs on the platform. You must admit that CEX.IO offers an intuitive customer experience within a user-friendly interface. The platform supports only Ethereum and Bitcoin as well as a limited selection of currency pairs, but the provided opportunities are enough to grow financially. Both retail exchange and professional trading opportunities are represented on CEX.IO, providing all the necessary tools. And it is also necessary to mention that there are no country restrictions for Visa, but there are some limits that are listed here. CEX.IO looks modern, intuitive, and user-friendly especially in comparison to competitors. Simplicity and feature-rich experience are combined together within a customer account. The minimized verification procedure allows to buy ETH or BTC within a short period of time, but if you want to extend limits related to a basic account, you can provide more personal data. We definitely like what we’ve just seen.